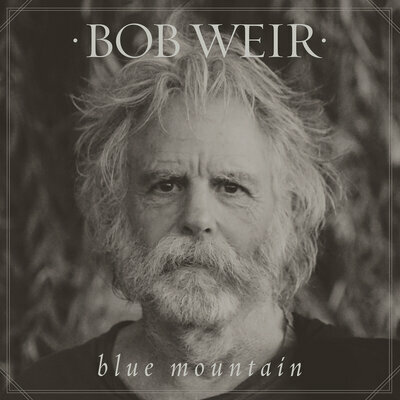 Bob Weir never needs to release another song, let alone a solo record, to be an American great, and Blue Mountain finds him mellowing out in those great wide open American spaces. With a lot of help from his friends (Josh Kaufman, Scott Devendorf, Joe Russo, Aaron Dessner, Walter Martin, Adam Ray Rizzo, Rob Burger along with lyricists Gerrit Graham and John Perry Barlow) and a new co-writing partner Josh Ritter, Weir has come out with this album that was inspired from his Wyoming Cowboy days over 50 years ago, even before he joined The Grateful Dead. The track "Cottonwood Lullaby" places you in that scene as Weir contemplates personal choices and the state of Wyoming. Musical choices such as restrained electric guitars and an easy slap and harmonica highlight the more upbeat "Gonesville". Opener "Only A River" takes a lot from the old folk tune Shenendoah, "Lay My Lily Down" picks up a darker tone in texture, sound and subject matter while the title track is the most stripped down and organic number. The loosest Weir gets is "Ki-Yi Bossie" which he wrote for long time partner in crime Barlow who was ailing at the time. The production from Weir, Kaufman and Dan Goodwin captures the empty landscapes and highways perfectly on tracks like "Ghost Towns" and while the album is meant to be a tone piece, the one note of it runs a bit long. There is a clear Daniel Lanois produced Bob Dylan album at work here as well as Weir takes center stage. The biggest take away from the album though is Weirs voice. Always an underrated singer, here he may just sound the best he ever has in his career as age has done little to crack his croon, and if anything the gravity is intoxicating. For fans of the Dead this has always been a rallying point around Weir and delivering tracks like the stark "Gallop On The Run" or the dramatic "Whatever Happened To Rose" could have both been sung in 1975 instead of 2015, his voice sounds that fresh. This feels close to Warren Haynes recent Ashes & Dust; acoustic based numbers that took a long time to marinate, sung excellently by an old pro who can still get it done. Perhaps no longer the "pretty one" Weir still can deliver a number with the best of them and does it over and over again on Blue Mountain.